Paragon has helped the £25m plus Vita Student Leeds project by Select Property Group to reach a significant milestone, at the halfway mark through its two-year construction. The city centre newbuild has now reached its ‘topping out’ stage, signifying the conclusion of construction and allowing for internal fit outs before an expected completion date in July next year, ready for the September 2019 academic year. A team led by Paragon associate director, James Quirk, has provided project management and employer’s agent services since its appointment on the project in 2017. 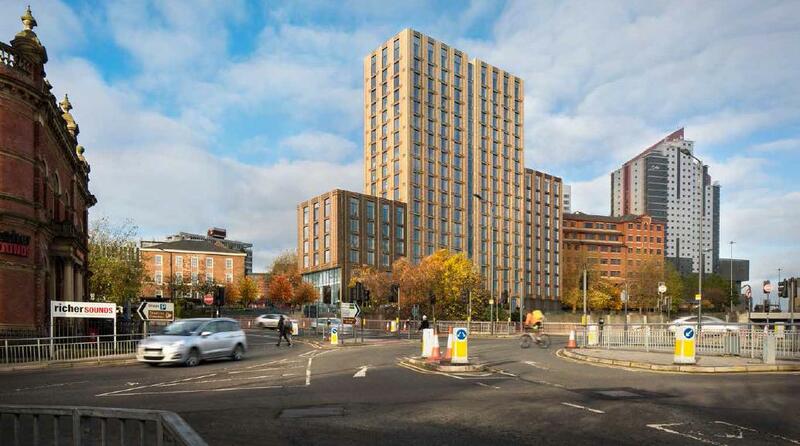 Once completed in 2019, the building will provide high-end student residential accommodation, featuring 376 studio apartments over 17 floors, with additional retail space and a hub level for students on the ground floor. Commenting on the milestone, James Onions, head of Paragon’s Manchester office, said: “Reaching the topping out stage is a significant milestone for the Vita Student Leeds development and adds to Leeds’s already impressive skyline. With five universities and a large, vibrant student population, the city poses real investment opportunities for developers – opportunities we are proud to help our clients realise. Paragon employs nearly 200 people across offices in London, Esher, Manchester and Edinburgh. For more information about our services, visit www.paragonbc.co.uk/services.